Welcome aboard. 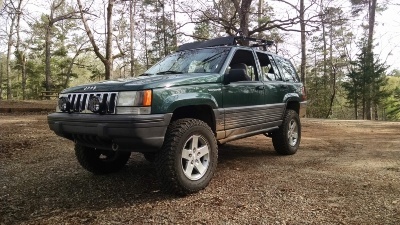 Jeep looks great with the new shoes. This guy converted the jeep to 4x4....hella cool. Looks great man, I like the jk rims on it. Promise me you won't park it your senior year and never drive it again!